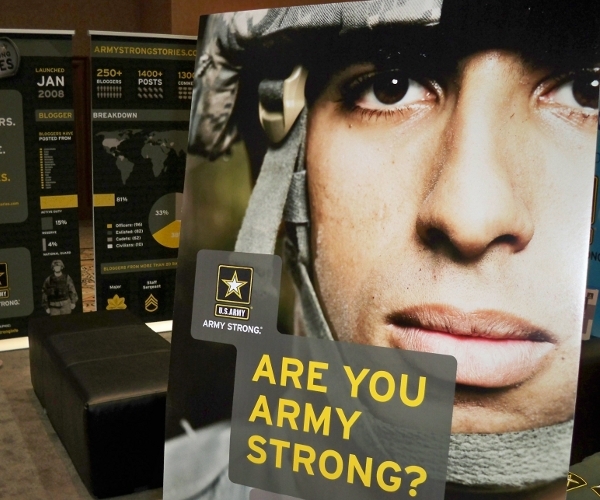 The US Army has a blogging network of 500 bloggers called Army Strong Stories, making it the only branch of the armed services that officially encourages its service members, their families and veterans to blog about their lives in the military. In the interview below with Lt. Colonel Dean, who is heading the program, he says that the Army “took a risk” to start the network to allow service members to share their stories without any censorship (there are guidelines that need to be followed, such as no hate speech and security issues, but otherwise soldiers can say whatever they want). This isn’t WikiLeads, however, Army Strong Stories is about the everyday lives of soldiers. Anyone can join the network (including fans of the Army according to Lt. Colonel Dean) and every post that goes up is tweeted out from the @armystories account, with select stories tweeted out on @goarmy, the Army’s main Twitter account, as well as a GoArmy Facebook Page. Read next: Microsoft Is Late To The... Say What?